Max ID®, an Australian Legal Practice and Reg-tech innovator, has been named as a finalist for the Fintech Business Start Up of the Year and Compliance Innovator of the Year at the Fintech Business Awards 2019. The Fintech Business Awards, one of the leading awards programs in the Australian technology sector, celebrates the leading individuals and organisations who demonstrate outstanding innovation and entrepreneurship. In late 2018, after testing and piloting with a number of clients had been successfully completed, Max ID publicly launched the solution that brings a broad range of industry players a step closer to their aim of delivering simple, efficient and inexpensive same-day fully compliant ‘safe harbour’ identity verification for mortgages and property conveyancing transactions. 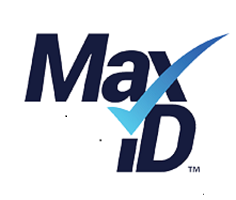 In an Australian-first, Max ID’s patent-pending technology means Max ID can conduct legally compliant ‘safe harbour’ face-to-face, in-person identity verifications on behalf of clients from anywhere in Australia with internet connectivity, 24/7, all year round. Lawyers and conveyancers no longer need to meet clients to conduct verification of identity in person, as Max ID can complete this task in a fully compliant manner regardless of where their customer is. No more customer visits to Australia Post or waiting for a courier driver to turn up and sight and photograph sensitive identity documents. Until now, for many legal services providers the requirement to conduct face-to-face and in-person interviews to satisfy regulatory requirements has created a conflict between regulatory compliance, customer experience and cost efficiencies. Fraser Todd, Co-founder of Max ID explains “With the transition to 100% digital settlements mandated to occur mid-way through 2019 in two of Australia’s largest property legal services markets (NSW and VIC), the industry is undergoing a transformation. Interest from the legal services market in sophisticated technology solutions that provide improved experiences for their customers and simpler more efficient compliance outcomes, has never been higher”. Recognised market leaders that have already embraced the Max ID digital solution include Lawlab, Australia’s largest consumer conveyancing law firm. their identity within 10 minutes, anywhere in Australia, 24/7, 365 days a year without the need for travel or having strangers at the door.